The Week in iOS Accessories: See hear! 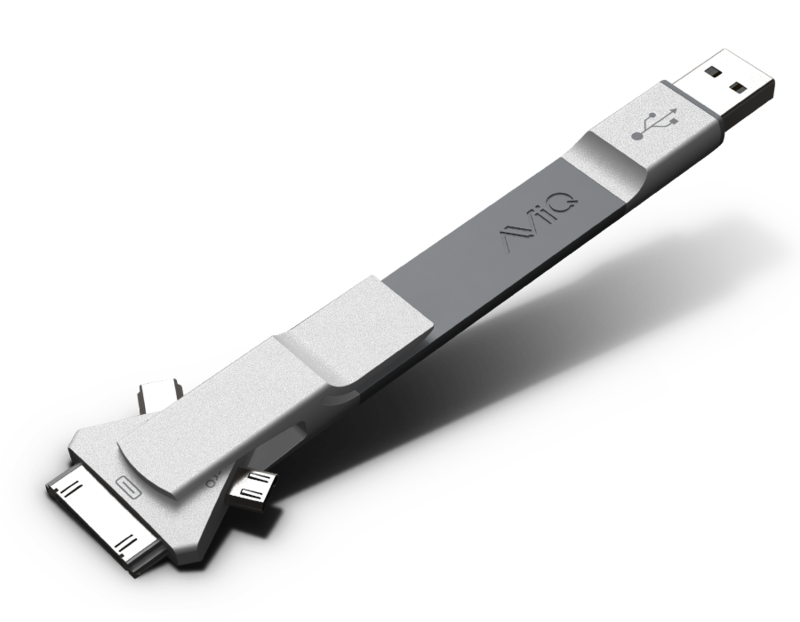 Aviiq: The $24 Quick Change Universal Dock Adapter is a small, three-in-one device that can connect the 30-pin dock-connector port on your iOS device to a USB or a micro-USB. It’s just 5.5 inches long and includes a clip, so you can slip it into your shirt’s front pocket or attach it to your bag. It’s a device that lets you sync your iPhone or iPad to your computer without the mess of long wires and cords. iHome: The $80 iD55 Portable Stereo is a docking system compatible with both your iPhone and iPad; it has a sliding cover that closes for transport, and opens up to charge your iOS device while it plays music or video. If you do take it on the road—the iD55 weighs less than three pounds—it can operate cordlessly on four AA batteries. 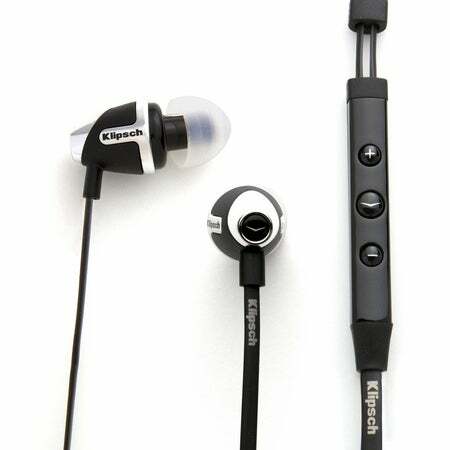 Klipsch: The $100 Image S4i in-ear headphones from Klipsch are designed just for your iOS device; they come with an inline remote/microphone that lets you control your music or make phone calls. It’s designed for comfort, arriving with four pairs of different-sized ear tips, as well as a “clothing clip” to keep wires from straying. The headphones come in black or white, and with their own protective carrying case. Photojojo: If you’re looking to capture smooth time-lapse images, the $25 Camalapse is up your alley. 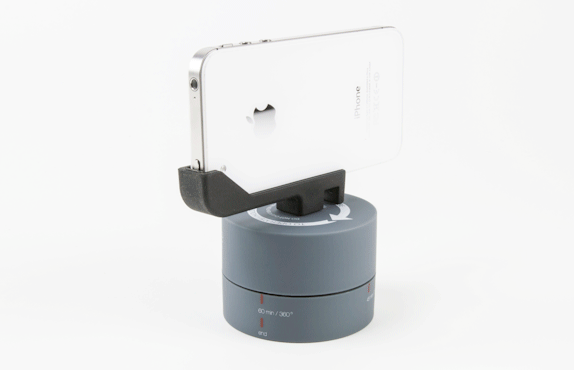 It’s a rotating stand for your iPhone that will let you capture 360-degree time-lapse images, as it does a full rotation over the course of a single hour. The Camalapse is meant to be attached to a tripod, and Photojojo suggests using it combination with apps like Motion Pics or Lapse It. Pioneer: This audio manufacturer has introduced a new line of wireless speakers—the $299 XW-SMA1, the $399 XW-SMA3, and the $399 XW-SMA4. All three units are AirPlay compatible, allowing users to stream music wirelessly from their iOS device. The first two units both feature dual 3-inch speakers and a 0.75-inch soft-dome tweeter; the SMA3 earns its higher pricetag with the inclusion of a rechargeable battery that offers up to six hours of playback time. The SMA4 doesn’t have the battery, but it does have five speakers and a four-inch subwoofer for big sound. 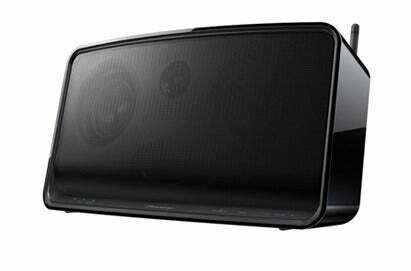 The line of speakers ships later this month. 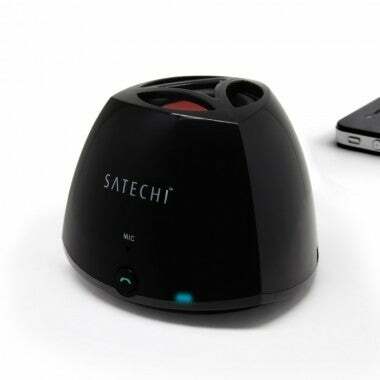 Satechi: The $30 Swift BT is a Bluetooth-enabled speaker system designed to play music wirelessly from your iOS device. It’s tiny—weighing in at just 4.6 ounces—but can give bigger sound to your iPhone’s tunes from up to 33 feet away, for up to six hours at a time between charges. It also has a “phone mode” that lets you use it for calls, even when your iPhone remains in your pocket. 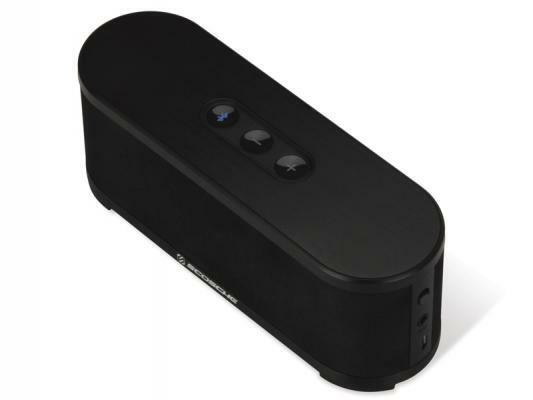 Scosche: The $100 boomStream speaker system plays music wirelessly from your iOS device via a Bluetooth link. You’ll probably use it mostly for playing tunes, but an included mic also allows you to use it as a speakerphone. It features a pair of 40mm drivers, and includes a rechargeable battery for up to eight hours of playback time. 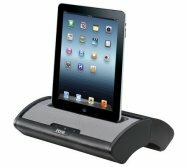 And it’s small, so it can be used as a shelf system in your house or taken outside for a mobile music experience. USBFever: The $20 Universal USB Hub and Card Reader is built to be used with both the iPad and Galaxy tablets, though you won’t want to connect both devices at the same time. For the iPad, it can be used as a camera accessory—letting users transfer photos from their digital camera to the tablet—or as a connecting port that lets you plug a keyboard in for typing. 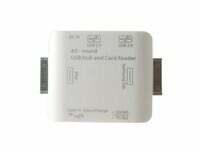 Users are warned not to attach a power adapter to the device, however, and the hub is not compatible with first-generation iPads.